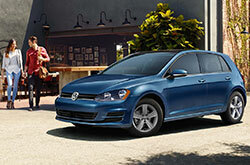 Every year, the Volkswagen Golf gives turbo hatchback shoppers even more to love. Whether you are looking for a fun commuter car, a hatchback with lots of cargo space or a speedy track star, there is a Golf model for you. 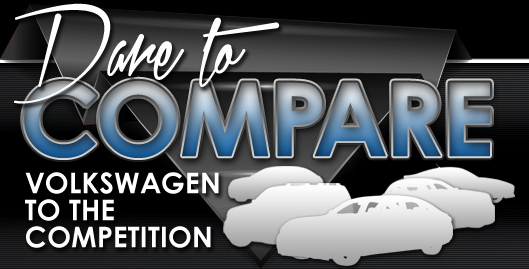 Plus, when you drive a 2017 Volkswagen Golf in Orlando, you have the pleasure of knowing it is considered one of the ten best cars by Car and Driver for the tenth year in a row and has won many other awards, including top safety ratings in the past. So what are you waiting for? Continue reading our review below to get all the details on this charming compact hatch. The Golf is available in four model styles with two performance-oriented models--Golf GTI and Golf R--and the longer, more spacious Golf SportWagen. There are countless trims across the lineup, but you can expect your 2017 Volkswagen Golf in Orlando to come standard with a leather-wrapped steering wheel, power accessories, touchscreen media player, Bluetooth audio streaming and a USB port. Higher-tier trims add leatherette or leather upholstery, heated seating, a larger infotainment touchscreen and telematics. 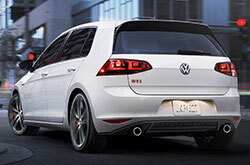 The Golf and the Golf SportWagen share a 1.8L turbo engine that makes a comparable 170 horsepower and a whole lot of fun! Next up the line, the performance-focused GTI features a 210- or 220-horsepower (Autobahn trim) 2.0L turbo, in addition to dynamic chassis control, progressive power steering and sport-tuned suspension. For even more thrills, 2017 Volkswagen Golf reviews favor the track star Golf R. With 292 horsepower and an available 6-speed DSG transmission with Tiptronic and Sport mode, the Golf R takes on challenges with ease. The Golf R is also available with 4MOTION AWD for even more power and control. 2017 Volkswagen Golf reviews are impressed by the hatchback's superior handling even around corners and note the impressive history of safety the car has. With a rearview camera, automatic post-collision braking system and seven stability-enhancing systems, the Golf makes peace-of-mind a standard feature. Higher trims add even more active safety, including forward collision warning, autonomous emergency braking and a blind spot monitor. Check out all of these features and more at our Orlando dealership today! Why Take Home the Volkswagen Golf? If you've been on the hunt for vehicles like the 2017 Hyundai Veloster, Kia Forte and the Ford Fiesta near Orlando, you should think about the 2017 Volkswagen Golf. 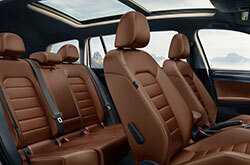 Due to its cabin features, polished styling and fresh persona, it could be just the vehicle for you. Once you're finished with our 2017 Volkswagen Golf review and compare page, check out hot-off-the-press Volkswagen finance offers. Find manufacturer incentives on the extolled Volkswagen Golf at David Maus VW North, a resident dealership with a fine selection of Volkswagen models. We hope our 2017 Volkswagen Golf review offers a helping hand when you're prepped to make your ultimate buying decision. 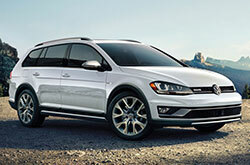 We have a massive roster of fantastic Volkswagen Golf models in Orlando, FL - drive one today. Can't wait to get a peek at its interior features prior to your visit? See the embedded video clip.